NAPARIMA MP Rodney Charles said it is not surprising TT has been left out of a meeting with US President Donald Trump. Charles said this country was left out because of the negative stand its government took towards the US’ open support for self-declared interim Venezuelan president Juan Guaido. 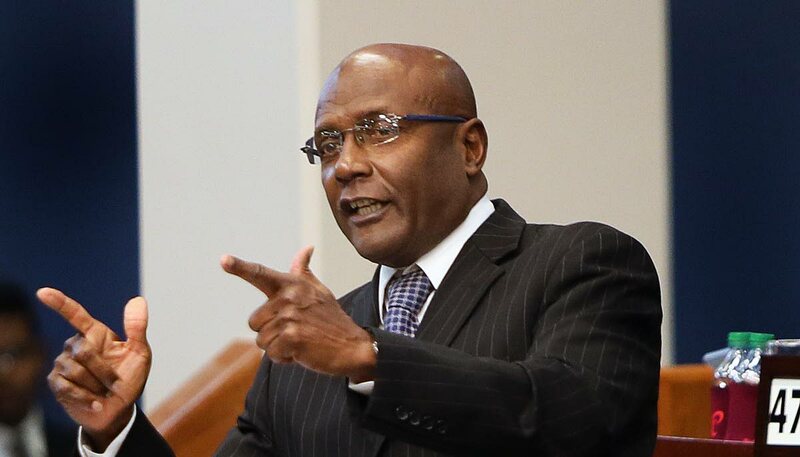 He said for the first time in history, TT had an open verbal confrontation with a US ambassador where the Prime Minister publicly took umbrage to statements made by the US ambassador. “In Parliament, the PM described the action of the US in providing food and assistance to the Venezuelans as a belligerent activity and indicated it should have been done through the UN,” Charles said. TT’s position is that it recognises incumbent President Nicolas Maduro, with Foreign and Caricom Affairs Minister Dennis Moses attending Maduro’s inauguration. American news outlet The Washington Post reported that a meeting at Mar-a-Lago, the US president’s Florida resort, will feature Caribbean leaders from the Bahamas, the Dominican Republic, Haiti, Jamaica and St Lucia. In January, at a vote on an Organisation of American States (OAS) resolution which denounced Maduro’s claim to legitimacy, the Caribbean stood divided. Jamaica, St Lucia, Haiti, the Bahamas and Guyana, along with 14 other members, voted for the OAS resolution, which denied the legitimacy of Maduro’s presidency and called for a new Presidential election which would be free and fair and attended by international observers. Dominica, St Vincent and the Grenadines and Suriname voted against, while Trinidad and Tobago, St Kitts and Nevis, Antigua and Barbuda, Barbados and Belize abstained. Charles said this country has to be very careful because the US is TT’s largest trading partner and he hopes the situation would not escalate. “It is my hope the government would be taking measures to ensure we mend the fence with our largest trading partner and home to hundreds of thousands of our citizens. “In diplomacy there are what you call back-door discussions. We have to repair our diplomatic relations with the US. If this escalates we can only suffer. There are many measures the Government can take to mend the fence while standing up for our principles,” Charles said. Charles said if the government does not work towards repairing relations with the US, TT is in for a lot of problems. “Our PM has a pavement diplomacy. He likes to fight, get aggressive, get annoyed, take umbrage and use words that are not diplomatic like describing US action in Venezuela as ‘belligerent’. He has to tone down and sometimes just keep silent,” Charles advised. Several calls to Minister Moses’ cell phone went unanswered. Reply to "MP Charles: I’m not surprised"